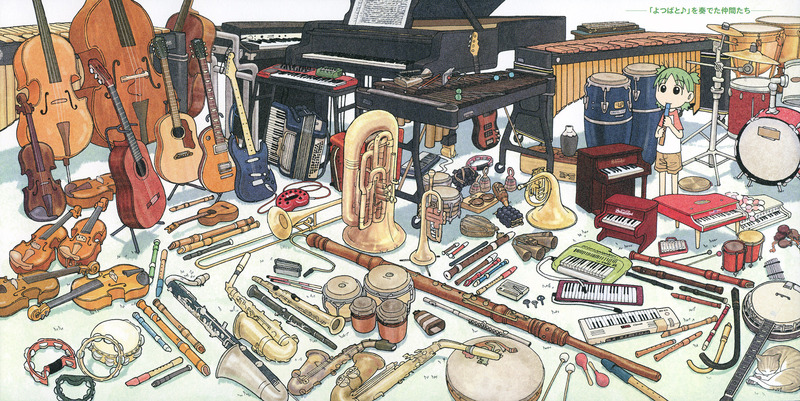 From the image soundtrack of Yotsubato, featuring Yotsuba standing amidst every instrument imaginable. 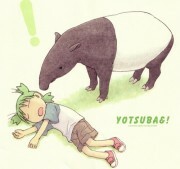 I don't think I've ever seen this scan before... needless to say it's awesome XD Yotsubato <3! This is very awesome, thanks. LOL! This made me laugh so hard :] Thanks so much!